If you love the looks of the Siberian Husky but don't want to manage their larger size, then you're going to love the Mini Husky (also known as the Mini Siberian Husky). This wonderful breed has been bred down in size; however, it still retains all the lovable qualities of the original Husky. In this article we are going to explore how to pet parent Mini Husky puppies, as well as tapping into some fascinating facts about the breed itself. The Siberian Husky dates as far back as 4,000 years. This breed was developed by the ancient Siberian tribe of the Chukchi people. The Chukchi were hunters and therefore needed a strong and durable dog that could withstand the climate and long hours of pulling sleds. The Chukchi people respected the Siberian Husky as a part of their lives and even believed that those who mistreated a dog would not be allowed into heaven. Today, the Siberian Husky is still greatly appreciated for all its breed qualities and it is for this reason that Bree Normandin started to produce the Husky into a smaller more manageable pooch. The Mini Husky is ideal for those folks that don't want all the power and rambunctiousness the full-size dog is known for and for those active and busy families or singles. To start the Mini Husky on the path to being a petite-pooch, she selectively bred those Huskies that were naturally smaller in stature. Normandin began this practice in the 1990's, so it has taken quite some time to get this new breed to where it is today. Just like its larger Husky counterparts, the Mini Husky puppy is intelligent and curious. It is an active dog that will need daily exercise and social interaction with its family. Although, the Mini Husky does not tend to be a barker, it will howl. In addition, this pint-size breed has been nicknamed the "escape artist" of the doggy-world as it has a way of getting over or under even the tallest of fences. Leaving your Mini Husky puppy alone can result in boredom, which could lead to negative behaviors such as digging, excessive chewing and separation anxiety. Keep in mind the fact that your Mini Husky puppy is a very high energy dog and a keen learner. For these reasons the earlier you start your Mini Husky puppy on training the better he will be. However, be sure to keep those sessions to only about 15 minutes at a time, as the Mini Husky tends to lose his focus because of his rambunctious and playful nature. As we have been discovering that the Mini Husky puppy is a highly active breed, exercising him on a daily basis is a must-do. If you are keeping a Mini Husky in an apartment, expect to exercise this pooch with long walks or playtime in the park with a good ole game of fetch. Even if you have a home with a backyard, the Mini Husky will still need to be both physically and mentally stimulated each day. Without this social interaction, your Mini Husky could develop behavioral problems. Even though the Mini Husky has been bred down to be more compact in stature, it still needs to be fed as his full-size cousins would be. When choosing a good quality food for your Mini Husky puppy be sure it is high in both protein (for muscle building) and full of quality carbohydrates (to sustain activity levels). Moreover, you can let your Mini Husky eat some fruits, such as eating blackberries, to offer them vitamins and minerals. 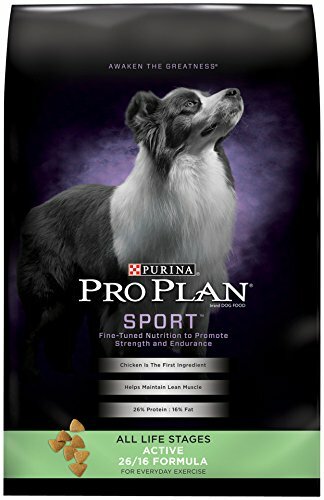 Some pet parents also advise to check out Pro Plan Sport Active Dry Dog Food. This dry adult kibble has 26% protein and 16% fat which helps your Mini Husky maintain his lean muscle as well as helping him keep his ideal body condition. The Mini Husky has the same type of coat has the full-size Siberian Husky. It is considered a double-coat which means it has a thick, dense undercoat (closest to the skin) and a topcoat that has short straight hairs. It comes in the typical Husky colors of black and white or red and white. It can also appear as all white, gray, copper or agouti. Your Mini Husky puppy will also have a black mask around its eyes or other markings on its face. As with the normal Husky, your Mini Husky will shed a considerable amount of fur each spring and autumn; however, regular grooming/brushing sessions should be done to control the amount of fur falling out around your home all year long. Pet parents of Huskies recommend the FURminator. This brush is designed to get through those thick double coats, saving you a lot of time and furry cleanups around your home. Although, unlike other large breeds, the Mini Husky has a very low chance of getting hip dysplasia (dislocation of the hip), there are other health issues that pet parents should be aware of. Glaucoma: Disease of the optic nerve that places pressure on the eye. Can lead to blindness. Progressive Retinal Atrophy: Affects the retina's rods and cones as well as the dog's ability to see color. Laryngeal Paralysis: Any disease that alters the voice box in your Mini Husky. If so be sure to find a reputable breeder or a rescue organization to adopt from. Armed with the knowledge by reading other articles on Nolongerwild.com and love for this amazing breed, you are sure to enjoy a happy journey with your new best furry friend.